And just like that, one of the busiest weeks for us is over, and we didn't even have a booth this year! Dozens of 4Wall/UsedLighting employees flew in for the week-long adventure filled with meetings, training, and of course the parties. 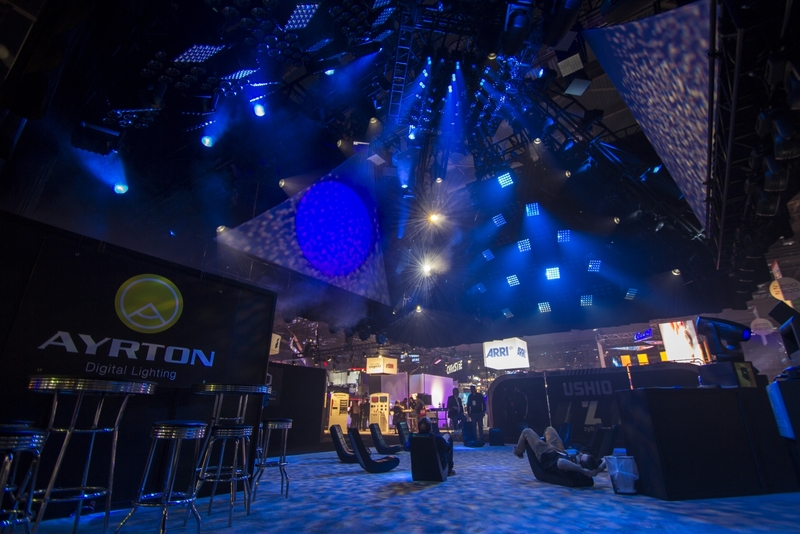 As we prepare to embark on a week of turkey, shopping, and family conversation that may or may not get uncomfortable, let's take a look back to last week's LDI Show. I put together 10 highlights for those who weren't able to attend and for some of you who just bee-lined to Green Hippo's open bar. I'm also aware that I left out the world record for the largest laser show, but I didn't take any pictures of it so it didn't make the list. There's also a recap video at the end of this for those of you who make it that far. See you next year! 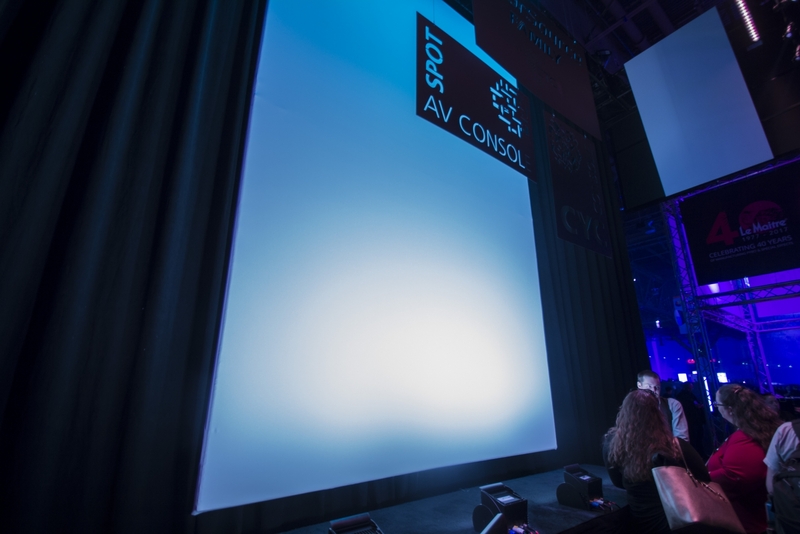 ARRI's new S360-C SkyPanel was on display at this year's show. You can't really tell from this photo, but this light was pretty massive. 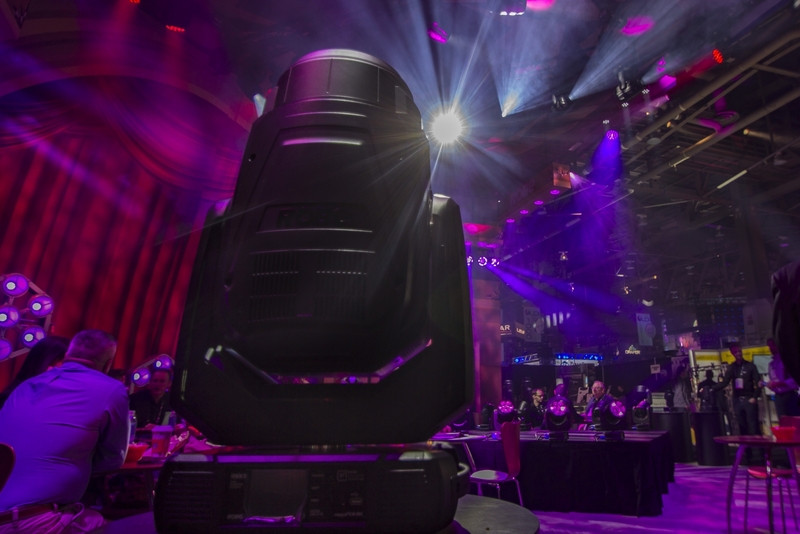 Features include full-color control, lighting effects on a huge aperture, wireless DMX built in, a unique carbon fiber yoke, and much more. Sit back, relax, and enjoy the show! Ayrton's demo was awesome. Any opportunity attendees have to get off their feet will definitely attract a crowd. They ended up winning the "Most Creative Use of Light" award. Last year was Rock'em Sock'em Robots, this year was the life-size classic video game, Q*bert. 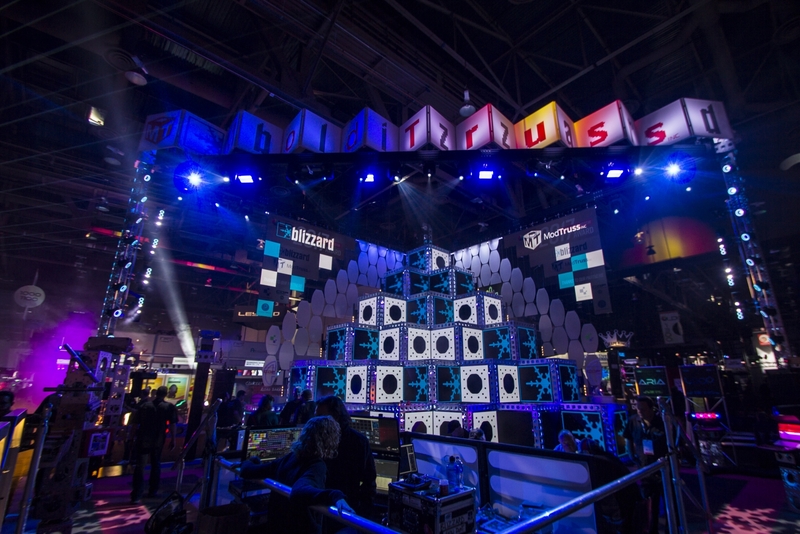 Blizzard Lighting and ModTruss made sure you could see their booth from virtually anywhere on the show floor. They took home the "Best Large Booth" award. 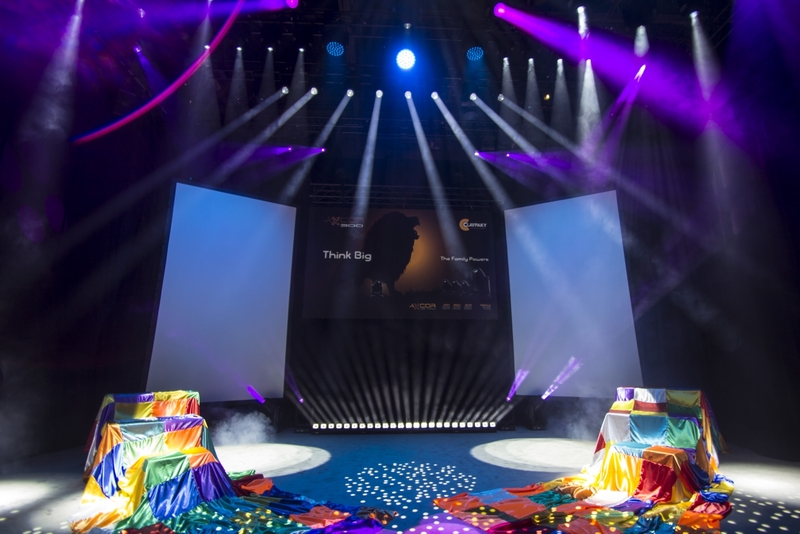 Chauvet Professional's lighting demo focused on their all-new Maverick MK Pyxis fixture. 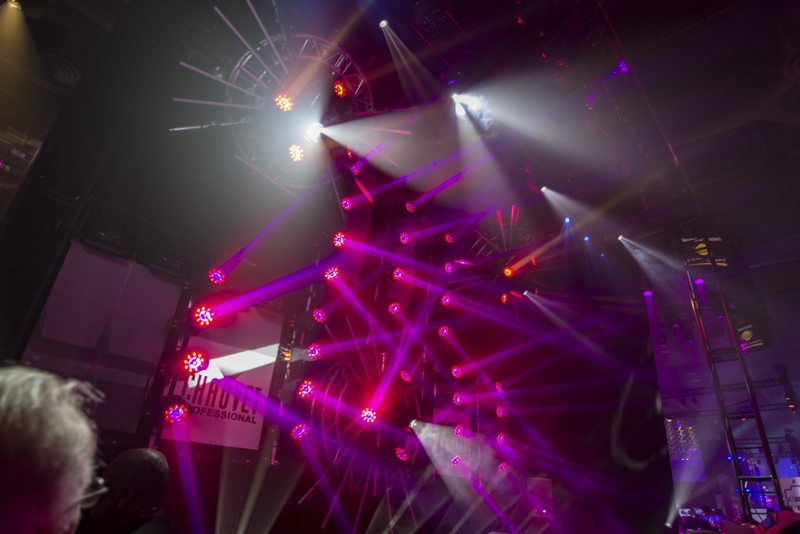 Clay Paky's new Axcor 300 family of LED moving lights made their debut at LDI. The new Axcor Spot 300, Wash 300, and Beam 300 are all driven by a white LED engine with a rated power of up to 180 Watts. 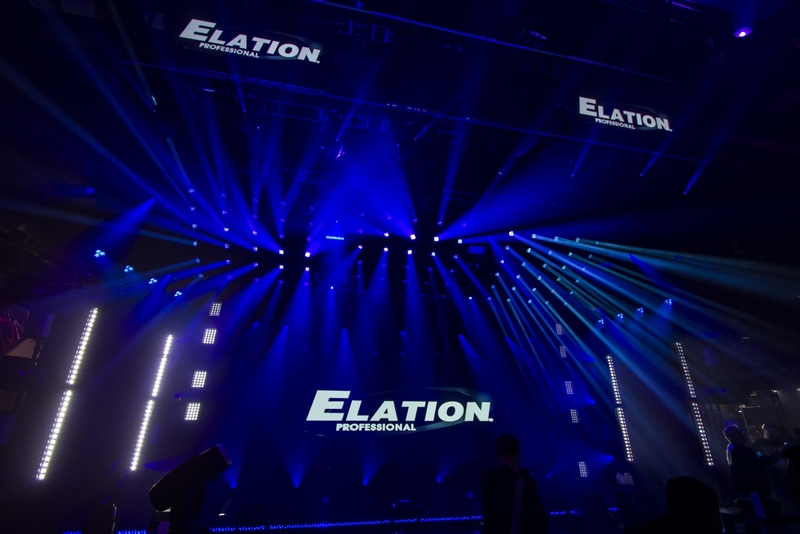 Elation's lighting demo consisted of over 200 moving lights. They highlighted their new DARTZ 360 fixture, utilizing 91 of them at their booth. ETC's hands-on demos kept their booth packed throughout the show. I stopped by to check out their all-new ColorSource CYC fixture. This neat little LED light's sole purpose is to create smooth washes on a cyclorama or wall. The booth hostess hands you a pair of sunglasses before you walk into their demo, so you already know it's going to be good! The narrator's script was just as good as the demo too. GLP didn't just tell you all the ways you can use their new JDC1 Strobe and Force 120, they showed you. 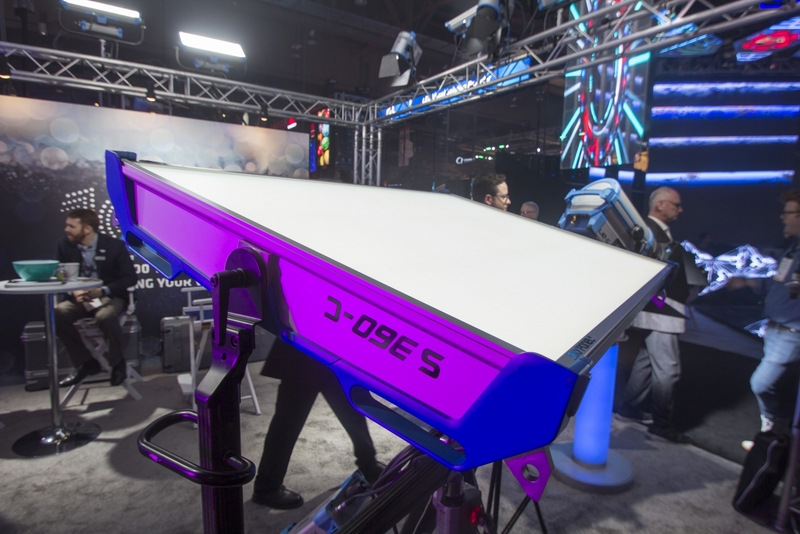 Martin Professional made sure that no matter where you were inside their booth, one of their new MAC Encore Performance fixtures were an arm's length away. They too had hands-on demos that allowed you to see the versatility of the fixture. 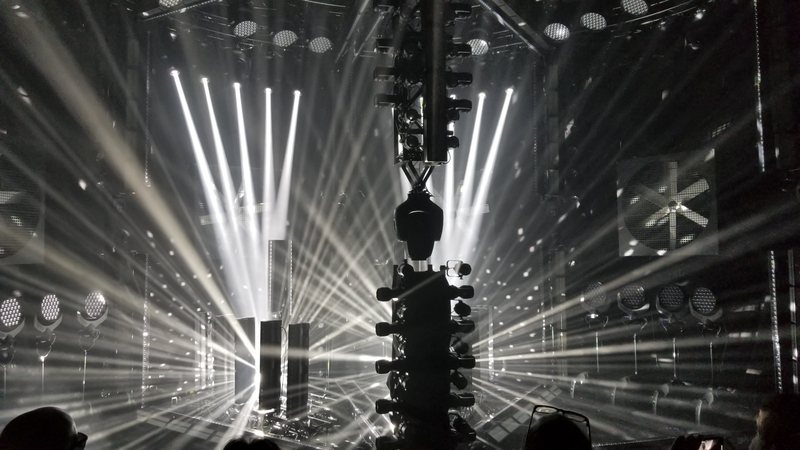 Robe has spent the past couple of months taking their new MegaPointe fixture around the globe for live demos to show the world how incredible this fixture is. 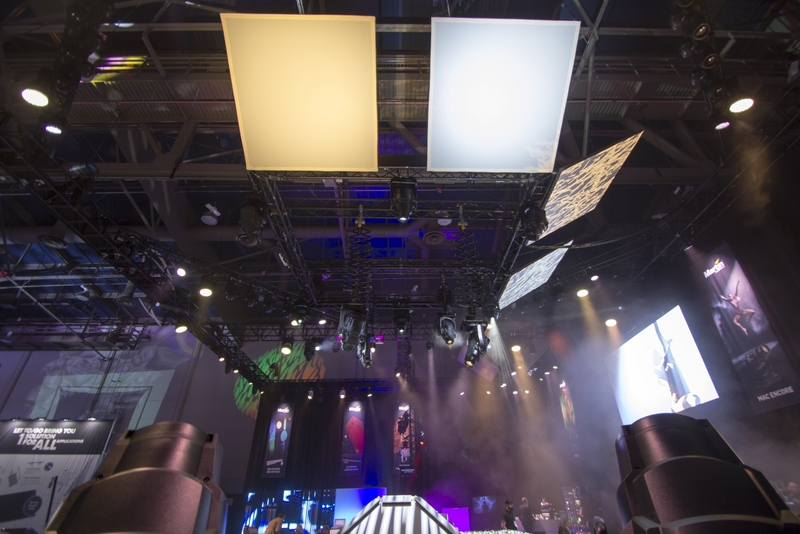 Instead of showing the attendees at LDI the same demo, they stepped it up with a dramatic, hi-impact live performance spectacle starring 42 x MegaPointes and a freestyle mirror-suit clad dancer.